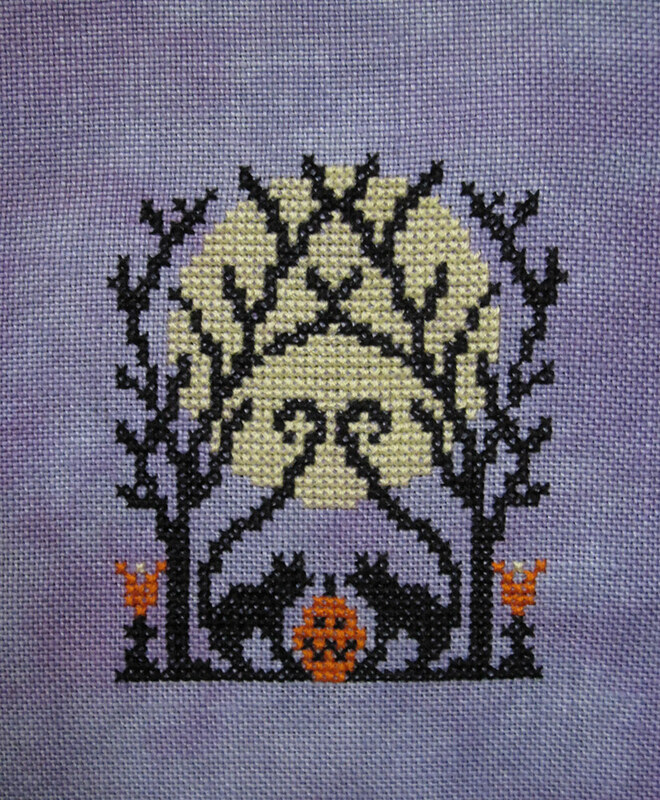 I didn't get as much stitching done this past weekend as I had hoped too, but I did manage to finish one of my small projects, "By the Full Moon" by Tracy Horner of Ink Circles from the September/October 2010 issue of Just Cross Stitch. 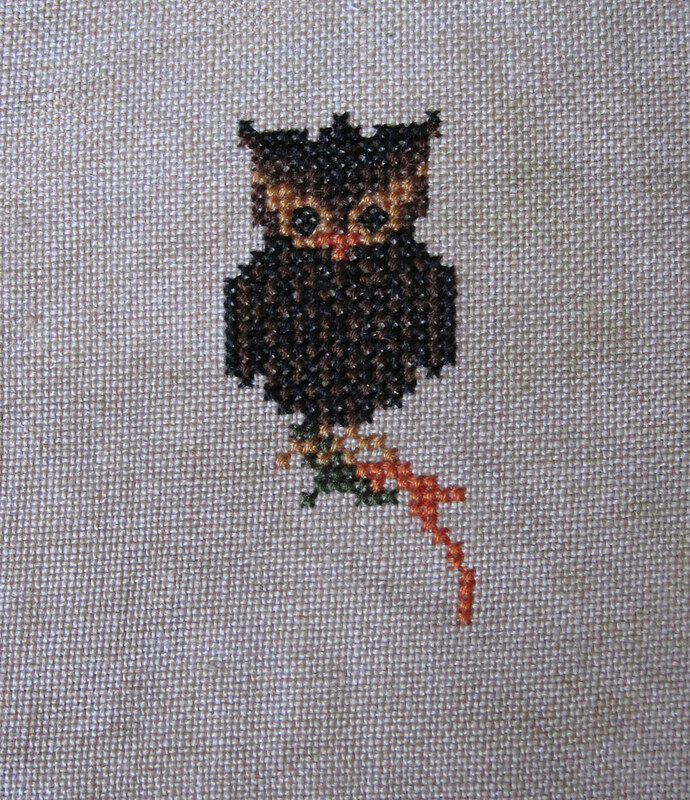 I stitched it on some hand-dyed Silkweaver fabric. 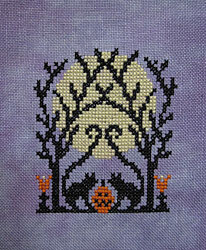 I also started another design from the same issue - "Perched on a Pumpkin" from Blue Ribbon Designs, also on some Silkweaver fabric. Halloween Fairy is almost done!